Get excited! 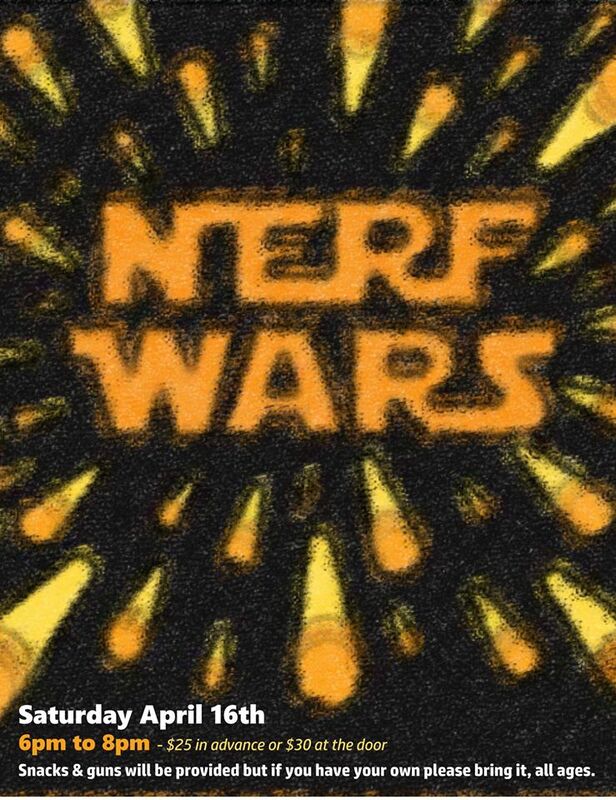 We are hosting our FIRST EVER Nerf Battle!! The kids are going to love this party! We provide the guns, the snacks and ALL the fun! Bring your kids to battle it out with the instructors at the Academy on Saturday, April 16th from 6pm – 8pm.